Eating at the ballpark has never tasted so good! Batter up! With opening day right around the corner, baseball fans are eagerly awaiting the crack of the bat, the smell of freshly cut grass and the taste of peanuts, hot dogs and, in some cases, Chick-fil-A. For fans in Atlanta, Philadelphia and Houston, there’s another reason to love going to the stadium: the food, and we hope you’ve saved room for Chick-fil-A® Chicken Sandwiches. The Atlanta Braves opened their 2017 regular season in a new home – SunTrust Park. The newest stadium in the Major League features some of Atlanta’s best names in dining, including local barbecue, Fox Bros., H&F Burger and, of course, Chick-fil-A. Fans can also check out “Below the Chop,” a restaurant offering field-level views under sections 156-160. 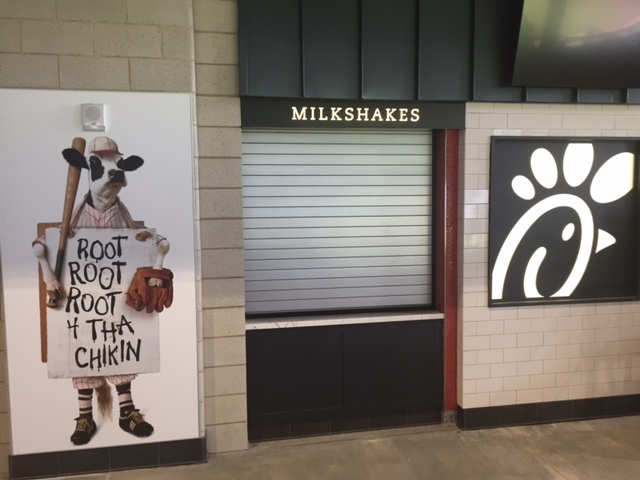 When you stop by the Chick-fil-A location inside SunTrust Park, be sure to check out the separate line just for milkshake orders and the refurbished Chick-fil-A “Eat Mor Chickn” Cow, standing 40-feet tall at right-center field. Where to find Chick-fil-A: Chick-fil-A is located behind 3rd base on the field level of the stadium in section 143. 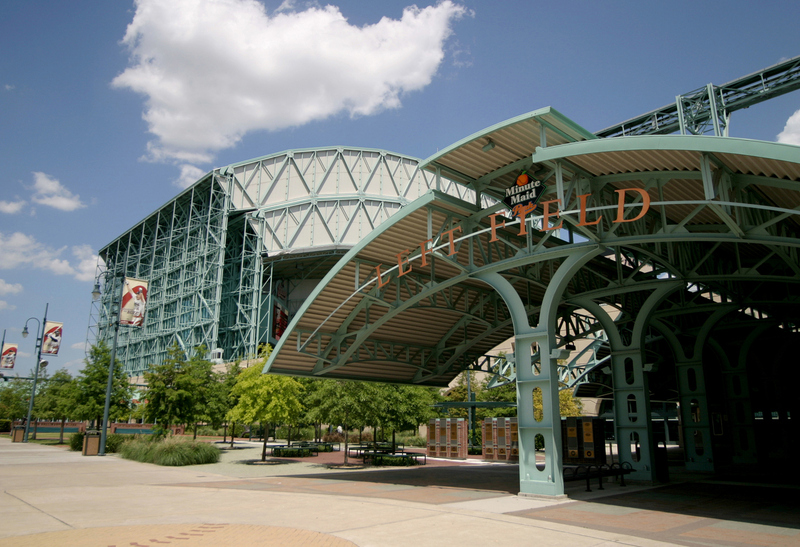 On rainy days, Astros fans at Houston’s Minute Maid Park stay dry under the stadium’s 242-foot-high retractable roof – the first of its kind in the city. The park also has an interactive 19th century train above left field that runs on an 800-foot track during games. The train is meant to symbolize the city’s development during the railroad era. 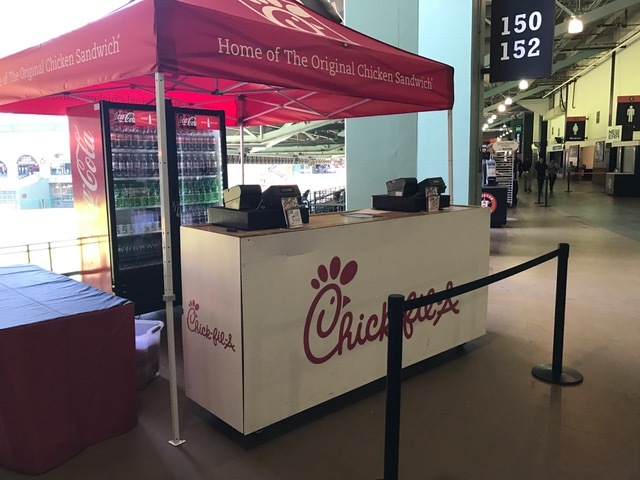 Where to find Chick-fil-A: Throughout the stadium, Chick-fil-A is served in the right and left fields behind the Chick-fil-A “Fowl Poles” on the main concourse, near the escalators behind third base on the main concourse and behind first base on the upper concourse. Menu items served: Chick-fil-A® Chicken Sandwich, Spicy Chicken Sandwich, Grilled Chicken Cool Wrap ®, Chilled Grilled Chicken Sub Sandwich, Waffle Potato Chips and Chocolate Chunk Cookie. Opening day for the Atlanta Braves will look a lot different this year. 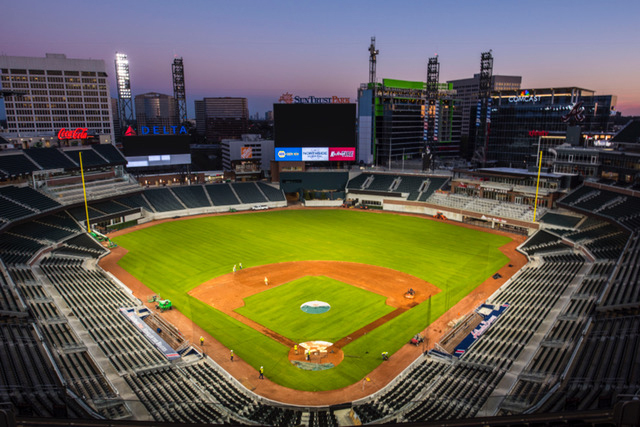 The team left Turner Field, its home of more than 20 years, and headed 14 miles north to the all-new SunTrust Park, where a new chapter of Braves baseball will be written. But it’s not just the Braves who have moved on – so, too, has the team’s biggest fan: a 40-foot tall, 36,000-pound Cow. Just two weeks ago, we heard that No. 1 NBA draft pick Markelle Fultz’s pre-game ritual is a “crispy chicken sandwich for breakfast.” Then, Oakland Raiders quarterback Derek Carr said he was going to spend some of his $125 million contract on… Chick-fil-A.